Did you know that approximately 2 billion razors go to the landfill each year?! Let’s face it – MOST of us love the feeling of smooth legs and underarms! Yeah, there are some ladies out there who embrace their all-natural hairy-ness and that’s GREAT (more power to you, girl!) but for the rest of us, shaving is still part of our daily routines. While we may never think twice about purchasing and tossing disposable razors, the waste piles up! When I was on my journey to going zero-waste and reducing my environmental impact, I was so worried about shaving. Would I have to give up shaving entirely if I wanted to be zero waste? Thankfully, the answer is no. There are actually quite a few hair-removal solutions that are zero-waste and eco-friendly! The thought of using a safety razor used to FA-REAK me out, but it’s actually not bad at all. There’s a slight learning curve, which is basically to not press too hard and replace the blades before they rust – but other than that, using a safety razor is basically the same as using any other razor! This is probably the cheapest, most readily available option for most of us. I have used my safety razor for close to two years now and I love it! Not only has it saved me a ton of money, I get a cleaner shave AND my sensitive skin does really well with it – meaning my razor burn is much better now! I used to always suffer from painful bumps when using a traditional razor, and now they’re gone! Recyclable program offers free blade replacements every time you send your old blades back to them to be recycled! AKA you will never have to pay for blades again. I am not going to lie, I tried this and it did NOT work with my skin. My skin is way too sensitive and it was burning all day after I shaved. 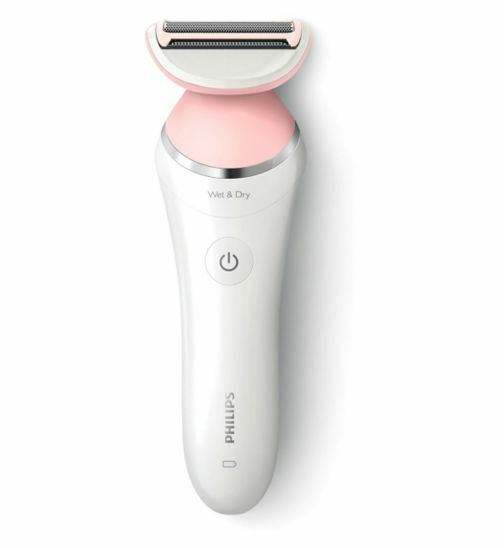 The electric razors are a no-go for me, BUT if you’ve got thicker skin than me and have experience with electric shavers, this might be the way to go for you. If you’re like me, it might burn your skin. It felt like thousands of micro cuts in my skin and I couldn’t figure it out despite trying multiple blades, wet/dry shaves/ with shaving cream / without, etc. A bit on the more expensive side. I bought mine for about $60 and ended up giving it away after only a couple weeks of trying to figure it out. The next eco-friendly hair removal option is something called Sugar Waxing. I have yet to try this, but I want to because it looks awesome! Sugar waxing is supposed to be much less painful than traditional wax, but just as effective. The best part is that you probably already have everything you need to get started! Here is a great tutorial on youtube teaching you everything you need to know! Affordable – you probably already have everything you need! Potential in-grown hairs if the wax is removed wrong, or the area isn’t fully sanitized, or the hair follicle get’s aggravated. Something you may not know about me is that I actually had laser hair removal done on my underarms AND my legs! However, I only went for about 6 sessions and they recommend 8-12 depending on how coarse your hair is. For me, laser hair removal wasn’t super effective but I’m definitely interested in getting more treatments in the future! Expensive – LHR is definitely more on the pricey end. You can pay anywhere from $400 – $2000 for complete treatments, and that doesn’t include the upkeep of follow-up treatments yearly. Slightly painful – honestly the pain wasn’t bad. The first few treatments were a breeze! It wasn’t until the 5th and 6th appointment that it started burning, but it was still much better than waxing. So which of these options would you most likely try?